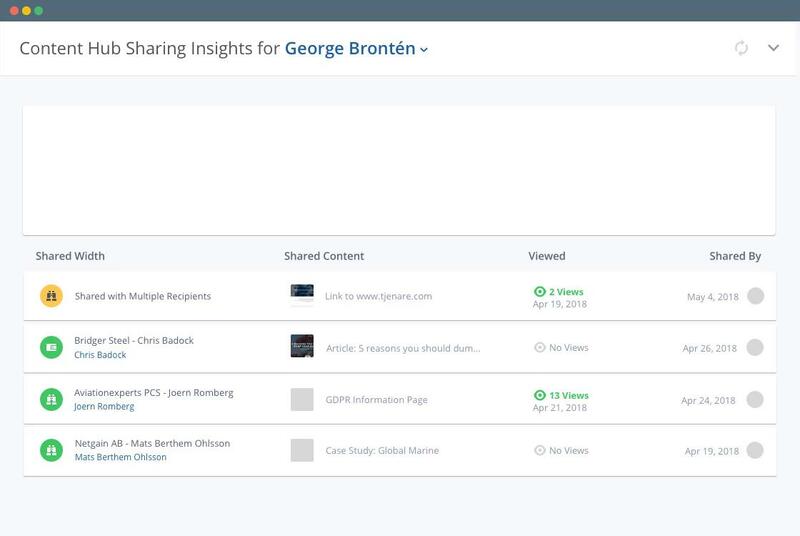 Does your sales team know what content to share at Each step of the sales process? Getting the right content into the hands of your best prospects at the right time on their decision-making journey is critical for sales success. 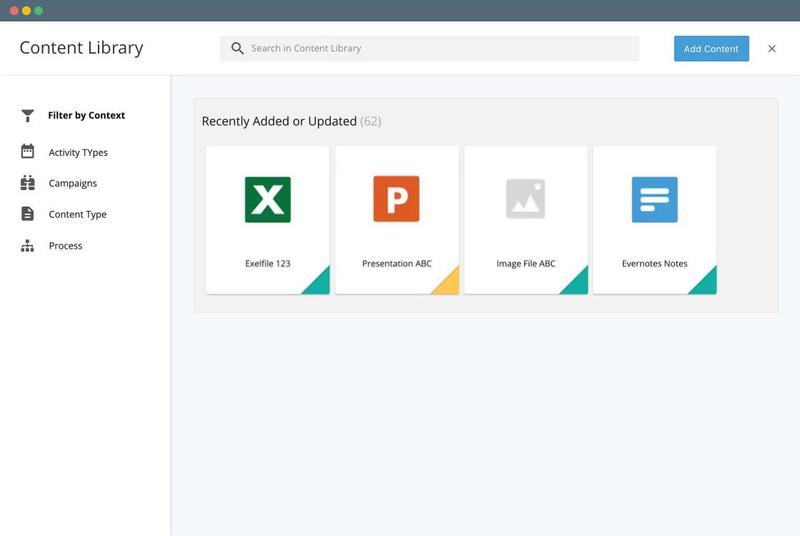 But often the documents aren’t readily available, or salespeople store and share outdated documents, or they simply don’t take the time to find and share them at all. IS THE TEAM EQUIPPED WITH THE RIGHT KIND OF SALES TRAINING? How you sell matters and your salespeople need the right skills to be competitive. Sending salespeople to training is not enough. Unless embedded into daily workflows, training is quickly forgotten. 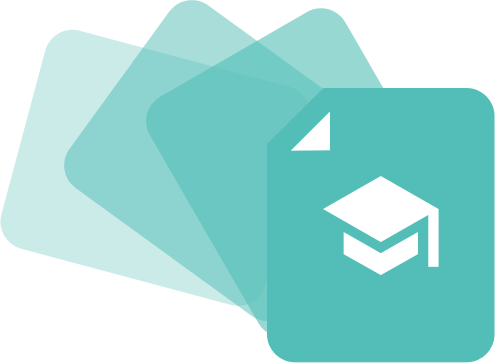 Inside of Membrain, your sales training will be reinforced and new skills will become second nature over time. The right content in the hands of your sales team exactly when it will do the most good. Prospects need different information depending on where they are on their decision-making journey, in your sales process. 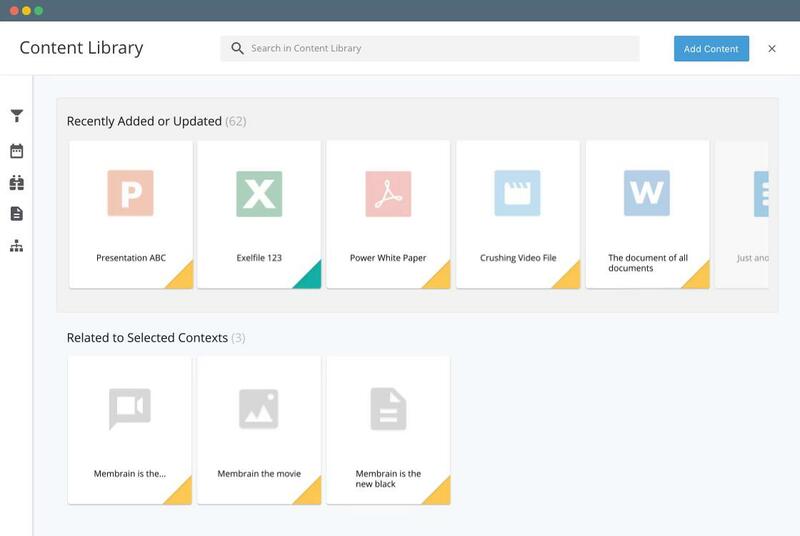 Membrain’s Content Hub works seamlessly to support your sales process and methodology with the right documents, case studies, demonstrations, videos, and other content. Surfaces the best content for prospects as they move through your sales process. Embed sales training resources to empower just-in-time learning. Shows what content is being used and engaged with the most. 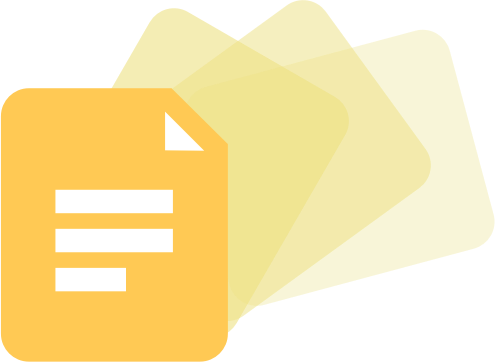 Ensures that all content is in once place and up-to-date. Content Hub stores all of your content in a central place. 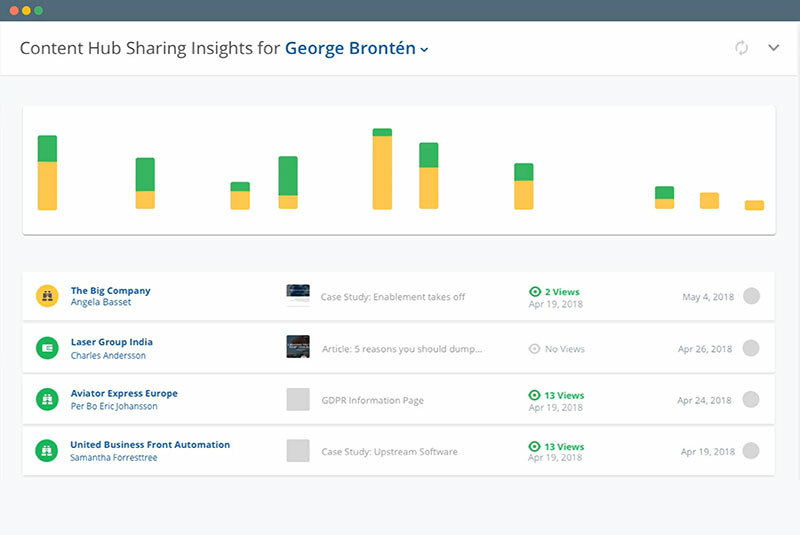 It ensures that your sales team has the collateral (white papers, case studies, demo videos and more) exactly when they should be sharing it in the sales process. 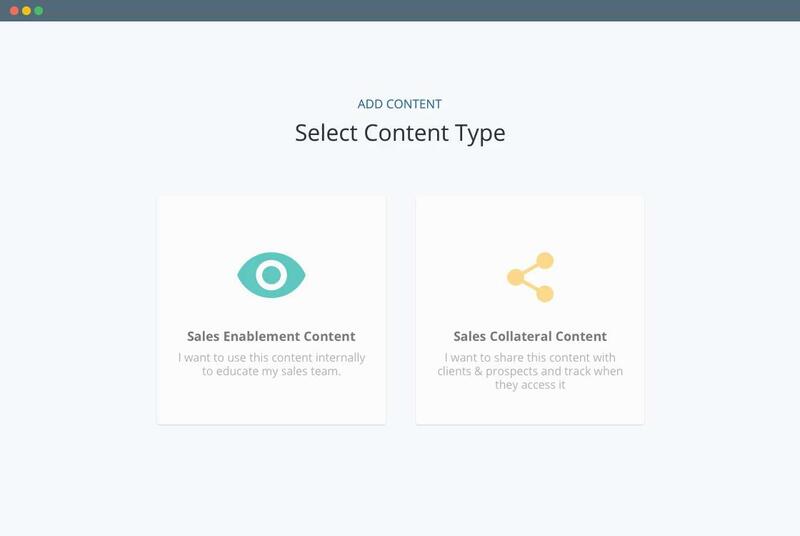 Content Hub stores internal resources (training videos, templates, pre-approved proposals and more) to reinforce sales training initiatives to help your team get better at what they do. Once you add your content, you choose exactly when to make it available based on stakeholder roles, sales process stage, industry, competition or anything vital to your sales strategy. Membrain then offers intelligent recommendations based in machine learning using all these factors and more so you can share your content when it makes a difference. A central place for all your sales collateral and training content makes it easier to ensure that everyone is communicating in a similar way, ensuring your brand coherence and positioning messaging stays on point. 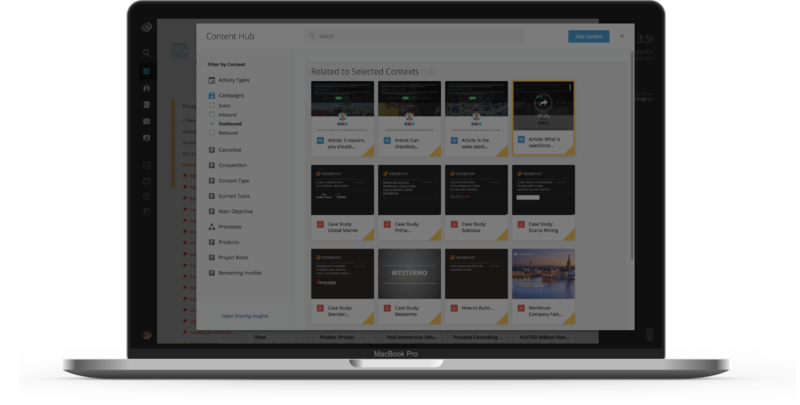 The Content Hub is where marketing and sales meet to use what is working and update what needs to be improved. 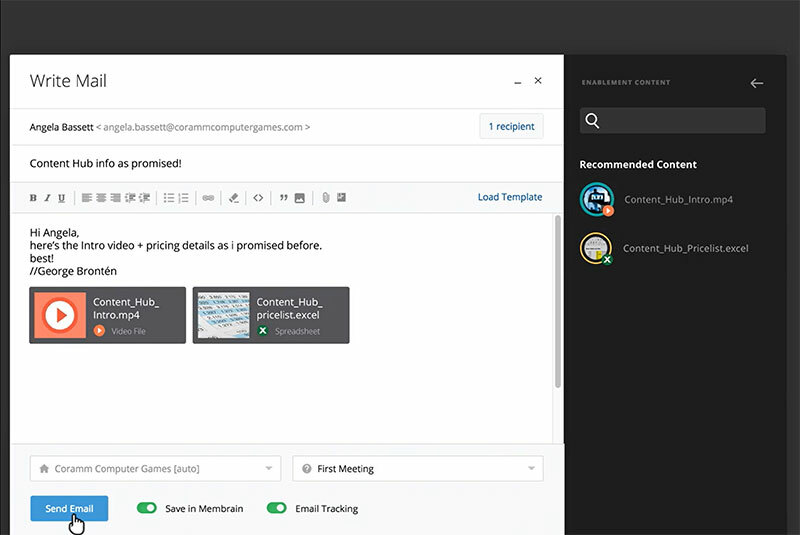 Membrain is designed to track user engagement with the content you use, so you can see what content is shared when, who uses each piece of content most effectively and what content has the greatest impact on your sales numbers. The content that is proven to be most helpful and effective will be recommended more. Membrain is the platform that enables your sales enablement strategy. It can be easily customized to fit your sales strategy and methodology to ensure your sales team follows the process and has the content they need to close more deals.